After an unconventional launch in 2014, the Institute of Contemporary Art (ICA) Miami has opened its first permanent home—a new 37,500 sq. ft building in the city’s Design District. The institution, largely privately-funded with some support from the city, began operating in temporary quarters nearby in December 2014, shortly after it was founded by the former board of the Museum of Contemporary Art North Miami (MoCA NoMi) following a legal battle with the city. 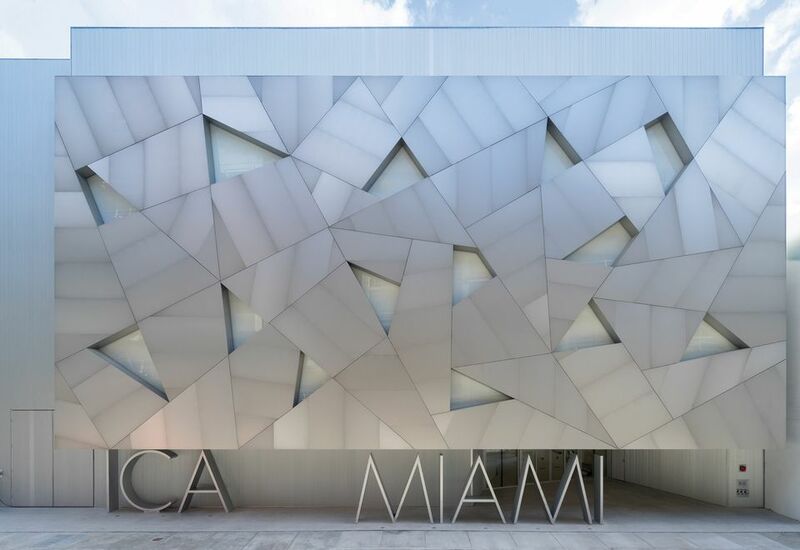 The new venue, designed by the Madrid-based firm Aranguren + Gallegos Arquitectos, was funded by Irma Braman, the former co-chair of MoCA NoMi, and her husband, Norm. It includes 20,500 sq. ft of flexible galleries, double the previous exhibition space. The inaugural programme includes solo shows for Robert Gober, Senga Nengudi and Hélio Oiticica and displays of 1980s works by Edward and Nancy Kienholz and new large-scale paintings by Chris Ofili. The first museum exhibition of the Haiti-born, Miami-based artist Tomm El-Saieh is on view in the ICA’s space for emerging artists. The larger second- and third-floor galleries are hosting The Everywhere Studio, a major loan show of works from the 1950s to the present that explores the idea of the artist’s studio. A 15,000 sq. ft sculpture garden is showing site-specific commissions by Mark Handforth, Allora & Calzadilla and Abigail DeVille, and a George Segal sculpture on long-term loan. As a free-admission museum, the ICA Miami seeks to “remove all barriers from viewing and experiencing contemporary art”, says Alex Gartenfeld, its deputy director and chief curator. “People who are not familiar with contemporary art tend to think that it’s not for them. In my experience, nothing could be further from the truth”. • This article has been updated to include the following corrections: Irma Braman, not Norm Braman, was formerly a co-chair of MoCA NoMI. The museum has received some funding from the city.